This was verified by Newsweek. I’ve removed several pictures showing dead dogs. When I traveled to Russia in 2011, I saw many stray dogs. The same thing was done prior to the Sochi Olympics. Russia is planning a mass slaughter of stray dogs ahead of the this year’s World Cup despite assurances this will not happen, animal rights campaigners claim. Some £1.4million has been assigned to host cities to pay for deployment of ‘canine KGB’ death squads, according to Ekaterina Dmitrieva, director of the City Animal Protection Foundation. The campaigners are furious that FIFA is turning a blind eye to the ‘butchers’ and refusing to press the Russian government over the ‘scandal’. The 11 host cities ‘will drown in the blood of homeless animals’, it is claimed. Ms Dimiterva’s claims have not been verified, but Deputy premier Vitaly Mutko – Vladimir Putin’s ex-sports minister mired in controversy over the Russian doping scandal – recently ordered host cities to set up temporary animal shelters for the estimated two million strays in these locations. 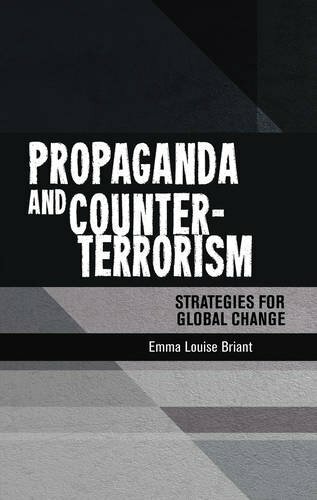 But Dmitrieva insisted that that cash has been paid already to pay for armed teams – nicknamed ‘canine KGB hit squads’ – and poisons to wipe out homeless dogs and other animals. Her demands to switch the cash to sterilising, immunising and caring for the animals has been met with silence, she said. ‘I am not getting any replies, because there is no procedure of cancelling the tenders,’ she said. 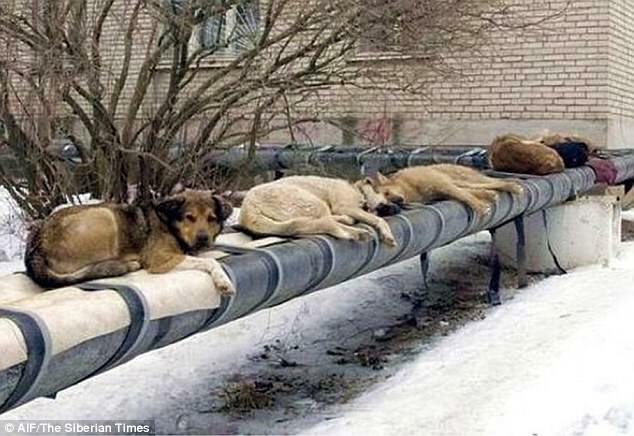 ‘At the moment state tenders worth 110 million roubles (£1.4 million) in total were signed to eliminate stray animals. These tenders are butchery’ – and is linked to the World Cup. 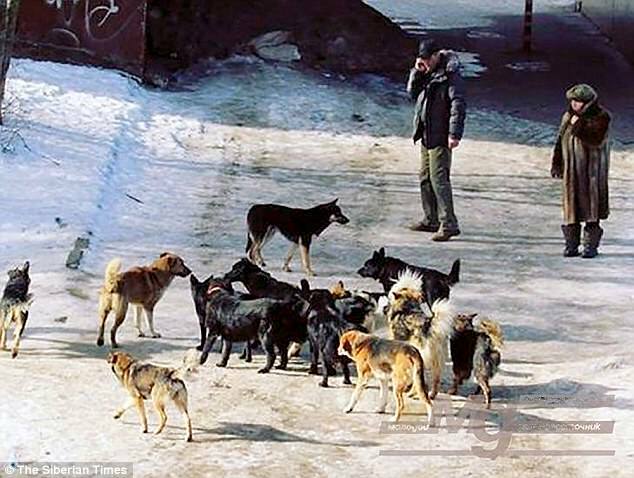 In one host city, Ekaterinburg, a staggering £407,000 has been allocated to wipe out stray animals, mostly dogs, she claimed. In Volgograd – where England pay their opening game – some £25,500 has been granted to ‘eliminate’ strays, according to a government website showing tenders. In Nizhny Novgorod, where Gareth Southgate’s team will also play, a total of £185,000 will be spent on shelters and immunising strays and NOT on culling animals. England also play in Kaliningrad, and here, too, the authorities have vowed not to cull animals but to set up shelters. In this case £115,000 has been earmarked. A FIFA reply to the group said: ‘We understand that there are many important social issues and initiatives such as yours that deserve to be addressed and supported. A separate petition signed by more than 90,000 people calls on Putin to stop the widespread killing of dogs in Volgograd, where England play Tunisia on 18 June. ‘They deserve to remain among the living. Side by side with people, they defended the city of Stalingrad during the Great Patriotic War!’ it said. Volgograd’s name in Soviet times was Stalingrad, a city famous for the Nazi defeat in one of the most decisive battles of the Second World War.